Bhubaneswar: To add another dimension to non-fuel offerings, for meeting the daily needs of consumers under one roof, Petroleum Minister Dharmendra on Monday launched two pilot outlets of Mother Dairy Safal Fruit & Vegetable Outlets here. 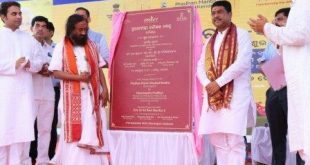 The outlets were inaugurated at Rajdhani Service Station of Bharat Petroleum and COCO Raj Bhavan of Indian Oil. 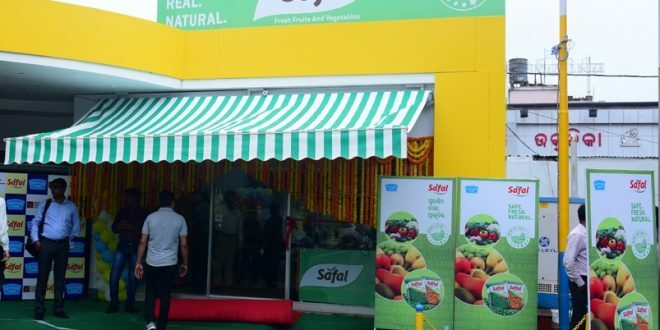 Bhubaneswar became the third city in the country with Safal Stores at petrol pumps, after successful running in Delhi NCR and Bangalore, selling fresh & quality vegetables and fruits at an affordable rate. This launch of Safal stores at pumps will help customers to get fresh & quality vegetables at an affordable rate. This will also help farmers getting a direct access to the market, ensuring a fair price for their goods, which will also enhance their productivity. After the review of these pilot stores, NDDB & Oil Marketing Companies, plan to roll out 50 – 60 more such stores in and around Bhubaneswar. 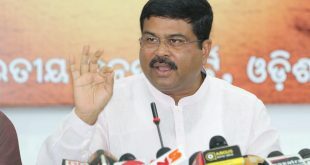 Pradhan on the occasion spoke about a new chapter starting in the petrol pumps by providing a platform to NDDB for sale of fresh vegetables, fruits and other products. This is part of the smart city initiative which translates into convenience for the citizenry of the city. He expressed his gratitude for starting this new initiative on the day of Bahuda Yatra. He further added that “OMC’s have started out on this new initiative of providing convenience to the customers. Starting SAFAL outlets in petrol pumps is part of this initiative. It will provide employment to the youth and will directly benefit the farmers providing quality products to the citizens of this country”. “The retail outlets will be leveraged to provide additional amenities and facilities on the non-fuel vertical to provide additional income to the dealers”. He urged the OMC’s to develop a new model to diversify and create a point of convenience for various products. He urged the OMC’s to partner with NDDB to explore the option of creating a Special purpose vehicle for setting up of a food processing centre. He requested the Chairman, NDDB to set up at least 50 outlets in the coming 2-3 months in Bhubaneshwar/Cuttack area to provide necessary convenience. Amongst others NDDB Chairman Dillip Rath and senior officials of all OMCs, SAFAL dealers and petrol pump workers were also present at this occasion. 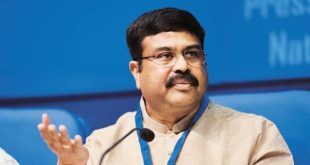 It may be noted here that, across the country, Oil Marketing Companies (OMCs) touch lives of 3.5 Crores citizens every day, which include LPG and automotive fuel consumers. Out of these, 1.5 to 2 Crores consumers are served at 55,000 petrol pumps, every day, covering the entire length and the breadth of the country, where they not only provide Petrol & Diesel but also offers non-fuel convenience. In Odisha alone, OMCs have a network of 1,644 pumps. The non-fuel offerings at petrol pumps include 1,725 ATMs, 1,006 Auto-Service Stations, 761 Dhaba & Eating Joints, 1,240 Tyre & Battery stores and 688 convenience stores with offering daily needs to our consumer, as they shop on the go. OMCs’ present income from Non-Fuel is only Rs. 164 Crores, against a total turnover from fuel retailing of Rs. 6.5 lakh Crore. The value consumers derive from these non-fuel offerings is of wide range and offers them the convenience of shopping at Petrol pump.